AdvanNet is a common driver platform for our RFID products, a software layer that manages our RFID system products under a common interface. AdvanNet is a simple yet powerful edgeware software that can easily connect our RFID products to 3rd party systems; either RFID middleware or end-user customer applications. 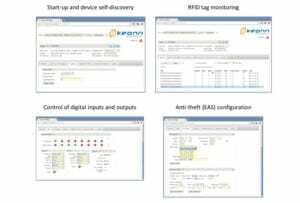 AdvanNet is also a powerful GUI (web based) test environment for any RFID deployment that uses our RFID products. Convenient fir making initial tests in an RFID project. Guarantee of best performance for our RFID products. It is not an RFID middleware since it focuses solely on our RFID products and does not provide drivers for common RFID readers and devices. It is not an end-user application. It is the first software layer in any software architecture that includes our RFID products. AdvanNet takes RFID deployments to a new level of simplicity. It is easily configured and offers a clean and simple interface to the higher software levels. In addition, AdvanNet decreases deployment time by assuming low-level communication with RFID devices and by letting developers focus on business development. Furthermore, AdvanNet guarantees the best performance for our RFID products. Provide a web interface to be used as a testing and deployment tool. Transform low-level data into much more usable xml messages. Offer a synchronous REST interface to access devices’ operations: inventory and others. Send asynchronous xml messages to 3rd party IT systems. AdvanNet acts as the driver or firmware for any of our RFID products. It can be understood as a bridge between the complexities of the low level required to talk to electronic modules, and the higher level messages any IT infrastructure can manage. In other words; it’s a very simple yet very flexible edgeware. Knows the low-level protocol of our RFID products. Allows the configuration of our RFID products. One single instance can control several of our RFID products. 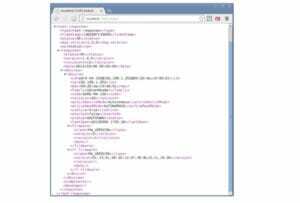 Generates inventory related xml messages. Offers a REST interface to access devices synchronously. Implements a publisher/subscriber pattern to send asynchronous data to 3rd party IT systems. Allows an intelligent routing of data; messages can be conditionally delivered based on data source, and other parameters. Allows integration with any system, integration mechanisms are universal, they arenot chained to any programming language or architecture whatsoever.